Salvia officinalis commonly called sage, Broadleaf Sage, Common Sage, Dalmatian Sage, Garden Sage, Kitchen Sage, Narrow-leaved sage, Sage, Salvia, Sarubia, Spanish sage, Tibbi Adacayi, Sawge, Red Sage, Broad-leaved White Sage, Salvia salvatrix is the culinary sage familiar to most cooks. It is a perennial, evergreen subshrub native to the Mediterranean region, though it has naturalized in many places throughout the world. The herb belongs to Lamiaceae (mint) family along with oregano, lavender, rosemary, thyme, and basil. Genus name comes from the Latin word salveo meaning to save or heal in reference to the supposed medically curative properties attributed to some plants in the genus. Sage has been admired for centuries for its medicinal as well as culinary uses, and in modern times as an ornamental garden plant. All parts of the plant have a strong, scented odor and a warm, bitter, somewhat astringent taste, due to the volatile oil contained in the tissues. It’s warm and musky essence is essential for making the fragrant dressing that goes so well with turkey. Sage is a woody-stemmed, semi-shrubby perennial, evergreen sub shrub that grows approximately 2 ft. (0.61 m) tall and wide. The plant grows well in dry banks and stony places, usually in limestone areas and often where there is very little soil. Stem is woody, square and have a green color with fine hair. Leaves are oblong, ranging in size up to 2.5 in (6.4 cm) long by 1 in (2.5 cm) wide. Leaves are grey-green, rugose on the upper side, and nearly white underneath due to the many short soft hairs. 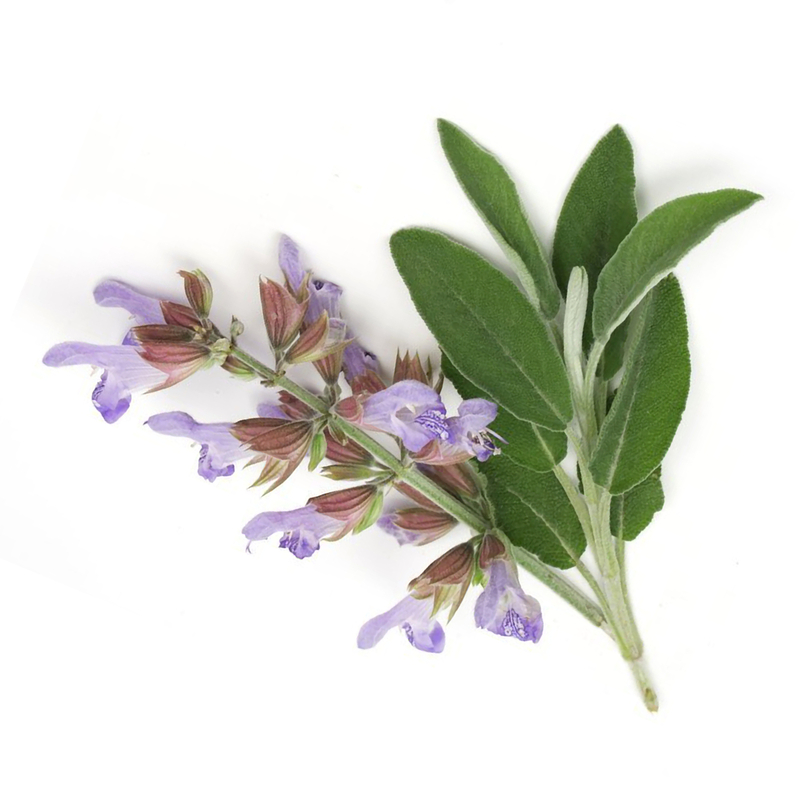 Sage blossoms in the middle of summer with small white, blue, or purple flowers. Flower is light purple to blue with a straight upper lip, in four to ten flowers in an apparent floral wreath. The white and pink forms are rarer. 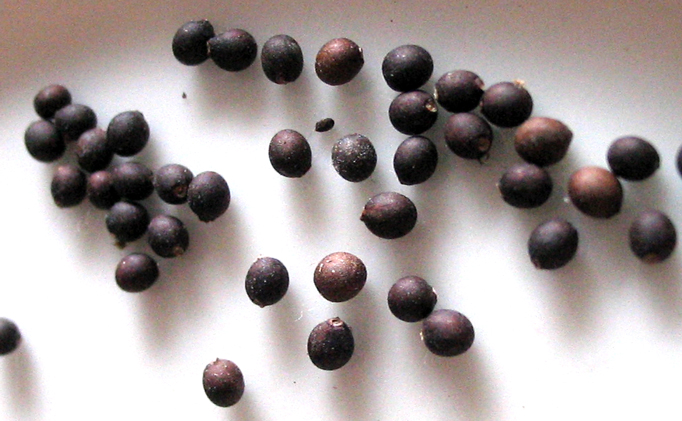 Seeds are dark brown, oval and very small. Since ancient times it has been used for guard evil, increases women’s fertility, snakebites etc. In the early middle Ages, Charlemagne recommended the plant for cultivation and in monastery gardens; it was cultivated during the Carolingian Empire. Through the middle Ages, the plant was highly reputed for its healing values and properties. It is also considered as an ingredient of Four Thieves Vinegar named S. salvatrix which helps to keep the plague at bay. 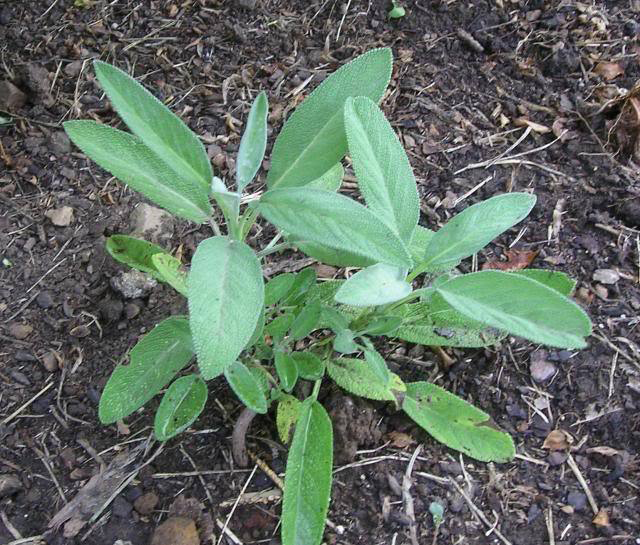 The sage was recommended by Pliny, Dioscorides and Galen as the hemostatic, diuretic, tonic and emmenangogue. Sage was stated by John Gerard’s Herball as a great for head and brain, strengthen the memory and senses, sinews and rehabilitate health. 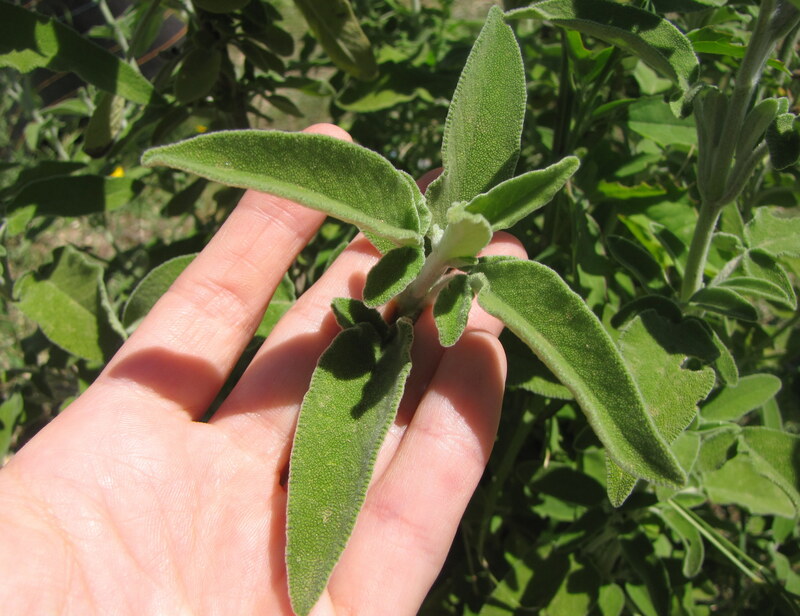 Nowadays, sage is a cultured plant and becomes cultivated on large scale in the southern countries of Europe. It is largely cultivated in Yugoslavia, Italy, Albania, Turkey, Portugal, Spain, Cyprus, England, Canada and USA. In India, it is sparingly cultivated in and around Jammu. It has strong aromatic leaves and also used in the perfumes and gargle infusions. It is inherent to Mediterranean countries. It is a perennial shrub which is large in size with lobed leaves. 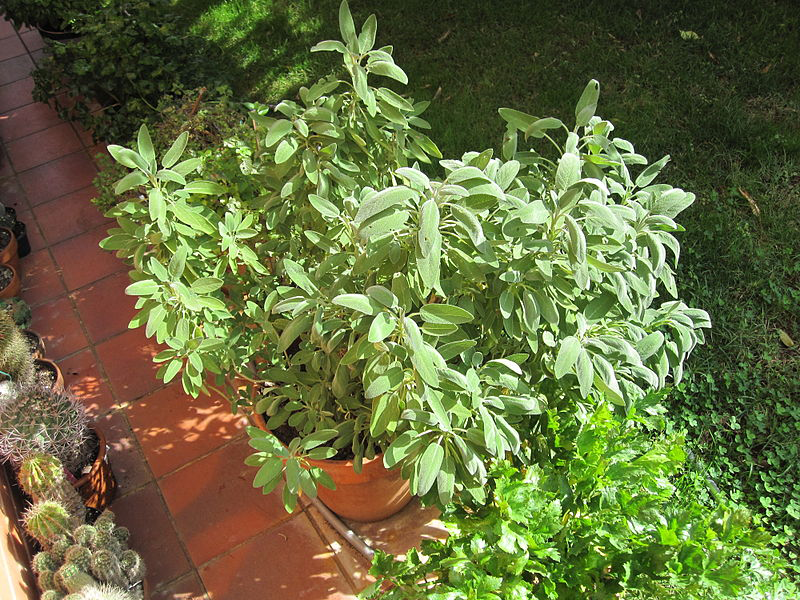 It is used as a sage tea in Mediterranean countries. The leaves of this variety are an inherent to Mexico. This variety is a large plant with blue flowers. It is used as herbal panacea. 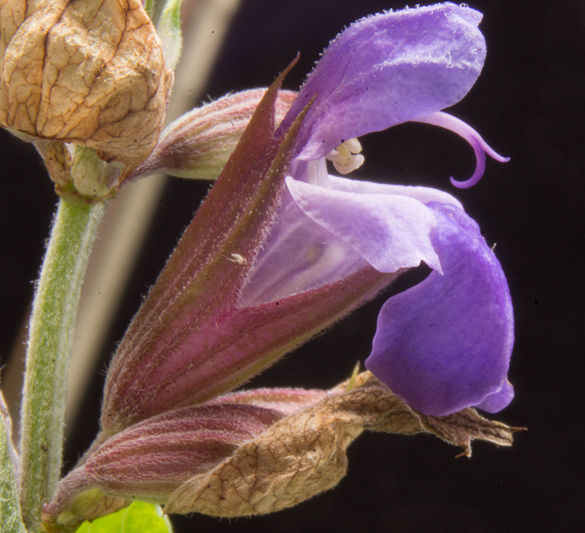 Three-Lobed Sage: This is a large perennial shrub with lobed leaves. 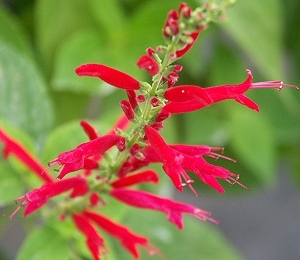 Native to the Mediterranean countries, it is mostly used for making sage tea. Azure Sage: This variety is native to Mexico. It is a large plant with blue flowers and is used as herbal panacea. Alba: Alba is a white-flowered cultivar. Aurea: Aurea is a golden sage. Berggarten: Berggarten is a cultivar with large leaves, which rarely blooms, extending the useful life of the leaves. Extrakta: Extrakta has leaves with higher oil concentrations. Icterina: Icterina is a cultivar with yellow-green variegated leaves. Lavandulaefolia:Lavandulaefolia is a small leaved cultivar. Purpurascens: Purpurascens’ (‘Purpurea’) is a purple-leafed cultivar. Tricolor: Tricolor is a cultivar with white, purple and green variegated leaves. Sage is factually a boon when it comes to the various health benefits it offers. From the Arabs to the Chinese, everyone has recognized this herb as a key to a healthy life. In fact, due to its health benefiting properties, it was awarded the title of “Herb of the Year” by the International Herb Association in 2001. Given below are some of the powerful health benefits of this aromatic herb. Sage has been used since ancient times to combat hair loss and baldness. Sage herb consists of beta-sitosterol, a 5-alpha reductase compound that has been found to be effective in treating male pattern baldness. It is recommended to mix 3 to 4 drops of sage essential oil with equal amounts of rosemary and peppermint essential oils and dilute in 1 tablespoon olive oil. Massage your scalp with it twice a day. Sage is often used as a natural remedy for depression. 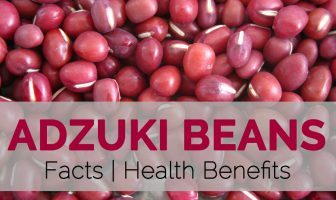 The affluent presence of antioxidants such as diosmetin, apigenin, and luteolin helps to enable it to combat depression and stress. 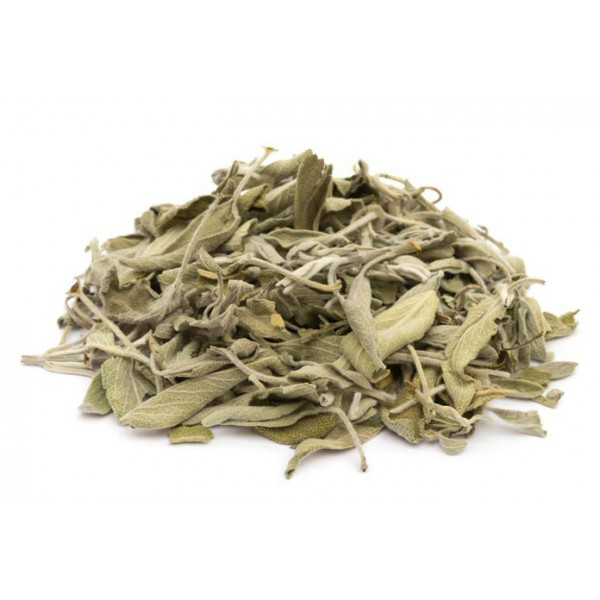 Frequent consumption of a cup of sage tea is known to boost your spirits, thus ensuring you to overcome the negative thoughts produced due to depression. A 2 tsp serving of sage consists of about 20 mg calcium and a good dose of potassium, both are essential for the proper functioning of cardiovascular system and for maintaining the rhythm of heart beats. This herb lacks cholesterol and is low in sodium. Hence, it should be used by those who have cholesterol issues to safeguard cardiovascular disorders. Sage infusion has been found to be effective in the treatment of inflamed throat and tonsils as well as ulcerated throat. For this purpose, you can boil a pinch of dried sage leaves in about 100 ml of water and infuse for 15 minutes. Strain the concoction and sweeten it with some honey. Using this as a gargle twice a day will provide relief. Sage leaf oil is known to improve blood circulation and stimulate cell renewal. This herb is rich in vitamin A and calcium, which play a major role in daily cell regeneration. Antioxidants present in sage combats free radicals, thus easing the wrinkles, fine lines, and other ageing signs. In short, this herb helps in keeping your skin younger, glowing, and flawless. It also reduces facial wrinkles and redness making the skin look younger and flawless. 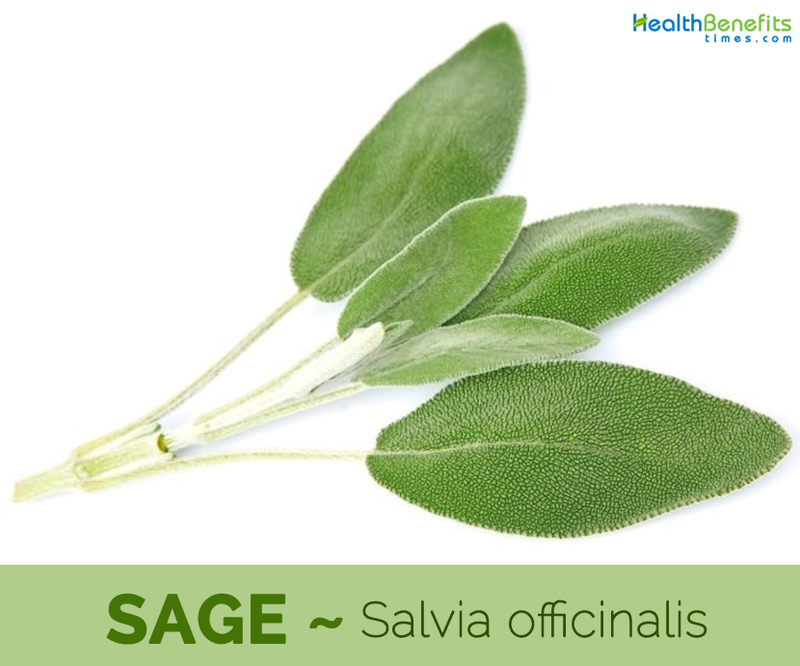 Sage herb plays an important role in our dental routine. It can be used as an effective mouthwash to treat gum disease, throat infections, and cankers. If you are troubled by cankers, you can simply gargle strong sage tea or freeze it into ice cubes. Pop one of these cubes in your mouth to soothe cankers. Current German research has shown that taking either a dry leaf extract or an infusion of sage leaf can help to reduce sweating by as much as 50%. It is a great deodorizer that dries perspiration and helps to reduce body odor. 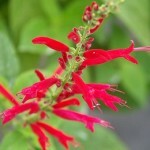 Sage, when used frequently, helps in improving memory power. Hence, it is suitable for treating assorted memory loss conditions including mild Alzheimer’s disease. It also improves the information processing among the people with such disease. Sage has a very long history of effective medicinal use and is an important domestic herbal remedy for disorders of the digestive system. Its antiseptic qualities make it an effective gargle for the mouth where it can heal sore throats, ulcers etc. Leaves applied to an aching tooth will often relieve the pain. Whole herb is antihydrotic, antiseptic, antispasmodic, astringent, carminative, cholagogue, galactofuge, stimulant, tonic and vasodilator. Sage is used internally in the treatment of excessive lactation, night sweats, excessive salivation, profuse perspiration, anxiety, depression, female sterility and menopausal problems. Many herbalists believe that the purple-leafed forms of this species are more potent medicinally. Externally, it is used to treat insect bites, skin, throat, mouth and gum infections and vaginal discharge. Essential oil from the plant is used in small doses to remove heavy collections of mucous from the respiratory organs and mixed in embrocations for treating rheumatism. Rub the leaf on the teeth to let them become whiter. Leaf is also used in mouth rinse water. By rinsing with strong sage tea grey hair becomes darker and more sturdily. Watery and alcoholic extracts of the leaves are used for rinsing and gargle by mouth, gums, jaw and tonsil inflammations. Few drops of essential oil in salty water are a good rinse for (infected) wounds and ulcerations. Tea of sage helps against bleeding gums and throat pain. Sage tea and sage wine calms the nervous system and is good against a low blood pressure. By taking a tea of sage, after an excessive meal, it promotes the digestion. Sage helps against a bad appetite and against flatulence and can help to defeat diarrhea. Leafs can be used against an irregular menstruation and to treat menopause problems. 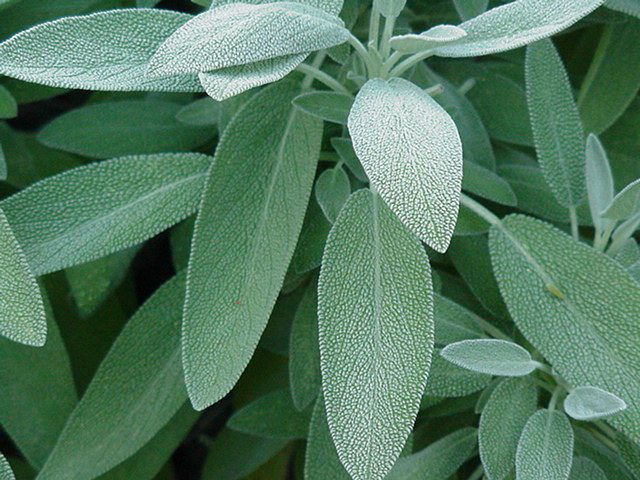 Sage is recommended against night sweat for TB-patients, it decreases the transpiration sometimes for days in succession. Sage decreases coughs and cold, and helps to prevent cold on the breast. Sages leaf, that simmered some minutes in vinegar, are good a compress for painful joints and rheumatic problems. Sage appears to help against painful, knobby breasts, infertility, grief and after miscarriages. Bad Breathe: Chew 2-3 leaves of Sage. Cystorrhea: Boil 4-6 tbsp of sage leaves for 10-15 minutes. Strain. Mix Honey and have it once in a day. Body Odor: Prepare a tea from fresh leaves of Sage. It flushes the odor causing toxins from the body. Grey Hair: Prepare an infusion of dried sage leaves. Us it for rinsing hairs. Snoring: Prepare a decoction of the leaves of Sage. Strain. Gargle with this liquid daily before going to bed. Depression: Prepare tea with a few leaves of Sage. Strain. Gargle with this liquid daily before going to bed. Memory enhancer: Chew 2-3 leaves of Sage. OR Have a cup of tea made from the leaves of sage once a day. Aphonia: Have decoction of the leaves of Sage. Gargle with it. Amnesia: Boil one tsp of Sage in a glass of water. Drink it lukewarm. Hoarseness: Take a tsp of dried Sage. boil in a cup of water. Strain. Gargle with this water thrice a day. Night Sweat: Boil a cup of water in a pan with fresh sage leaves. Soak them for 5 minutes. Strain it off. Add a tbsp of Honey in this decoction. Drink this warm decoction twice a day to reduce the excessive sweating in the night. Menopause: Put a tbsp of dried leaves of sage in a pan. Pour a cup of hot water over the leaves. Le it Steep for 5 minutes. Strain it off. Add 1 tbsp of Honey to taste. Drink this warm decoction twice daily to reduce the symptoms. 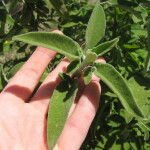 High Creatinine: Take a hand full fresh leaves of Sage. Boil it for 10 minutes. Strain and drink this tea 2 times in a day. Chlamydia: Steep 1 tsp of mashed sage leaves in one cup of hot water for 15 minutes. Drink it twice daily for one week. Hyperlactation: Prepare a decoction made of crushed sage leaves and one cup of hot water. Drink it thrice daily for 3-4 days. Hyperprolactinemia: Infuse crushed sage leaves in one cup of hot water for 30 minutes. Drink it thrice daily for 3-4 days. Leigh’s Disease: Chew 4-5 fresh leaves daily. Diabetes: Boil few fresh sage leaves in 150 ml of water. Drink this decoction daily on an empty stomach to treat Diabetes. Dead Foetus: Prepare a decoction made of sage leaves and branches and one cup of water. Strain and drink 30 ml of this decoction three times a day. Athlete’s foot: Prepare a paste of raw tomatoes, Basil leaves, celery, Carrot, Dill, Fennel, Sage and Thyme. Apply this paste on the affected area. Cough: Take one cup of honey, some cloves of Garlic, one tbsp of dried lemon peel, one tbsp lemon juice and one sage leaf and blend. Keep away for a week. Squeeze the liquid. Strain and bottle. Take one tbsp twice a day. ADHD: Take tsp of Chamomile, Rosemary, Sage and Lavender oil. Mix these oils with 40 ml Olive Oil. Apply this oil locally on child’s feet and spine before going to bed. Body Odor: Add tomato juice in the leaf paste of Sage. Apply it in the armpits and leave for 15 minutes. Take a bath after it. Grey Hair: Prepare a tea using leaves of Sage and Rosemary. Use it as a Conditioner. Depression: Take 1 tsp dried basil leaves and 2 tsp dried sage leaves. Make a tea with it. Drink twice a day. Peritonsillar Abscess: Take leaves of Sage and Apple Cider Vinegar in equal amount. Prepare an infusion and Gargle. Respiratory Disease: Take some boiling water in a bowl. Put 8-10 drops of essential oils of Sage and Thyme in it. Cover your head and face with a towel and inhale the aroma. Frizzy Hair: Heat 2 cups of Apple cider Vinegar just short of boiling. Add ¼ tbsp of each of Rosemary and Sage. Steep overnight and then strain. Store in a bottle. Mix ¼ cup of this preparation with 2 cups of warm water and use as a hair rinse for soft and shiny hair. Sore Throat: Boil dried leaves of sage in cup of water and strain. Add 2 tbsp of Apple Cider Vinegar. Gargle with this warm mixture to get relief. Grey Hair: Take 3-4 tbsp of dried sage in a pot and pour 2 cups of boiling water over it. Add one tbsp of Borax and let it cool. Now add 5-6 drops of sage essential oil. Apply the preparation lightly to the hair with a brush. Rinse after 2 to 3 hrs. with normal water. Repeat it 2-3 times a month. 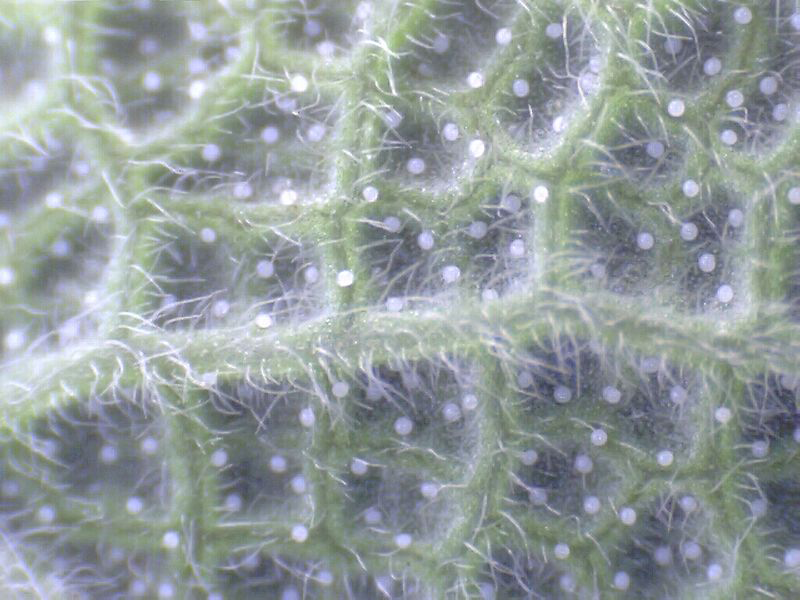 Aphonia: Take handful of Chamomile flower and leaves of Sage. Prepare decoction. Gargle with this decoction 2-3 times a day. Anxiety: Take following herbs on equal quantity Sage dried and powdered, basil leaves dried and powdered, rosemary dried and powdered, Thyme powdered, Ginger dried and powdered. Mix all ingredients. Have ½ tsp with milk at night daily. Cold: Take following herbs: sage dried and powdered 20 gm., ginger dried and powdered 10 gm., Rosemary dried and powdered 10 gm., Cayenne dried and powdered 10 gm., basil dried leaves powered 20 gm. Put all ingredients in a bottle. Have half tsp with lukewarm water twice a day. Age spots: Take 10 gm. Rosewood oil, 10 gm. of Myrrh oil, 10 gm. of Chamomile oil, 10 gm. of orange oil, 10 gm. of Mandarin orange oil, 10 gm. of patchouli oil, and 10 gm. of sage. Put all the ingredients in a vessel. Heat for 5 minutes. Store in a glass bottle. Massage over affected area with this preparation for 10 minutes. Schizophernia: Take dried basil leaves and sage leaves. Put quarter tsp of Basil leaves and one tsp of sage leaves in a cup of water. Boil on low flame for 10 minutes. Strain. Add honey. Drink it lukewarm 3 to 4 times a day. Menopause: Put a half tbsp of Sage and Raspberry leaves in a pan. Pour 150 to 200 ml of hot boiling water over the leaves. Let it steep for 10 minutes. Drink this warm tea once in a day in 2-3 hours. It helps to maintain the balance of female hormones to keep secure from menopause. Hot Flashes: Take 1-2 tbsp of Sage leaves, 1 tbsp of Alfalfa, 1 tbsp of Rosemary and 1 tbsp of Motherwort. Blend them together and prepare an infusion in a half cup of water. Let it cool for 5 minutes. Strain and drink as tea once a day. Toner for oily skin: Add a spoonful of sage to a cup (250 mL) of boiling water. Steep for 30 minutes, strain and let cool before dabbing on your face. 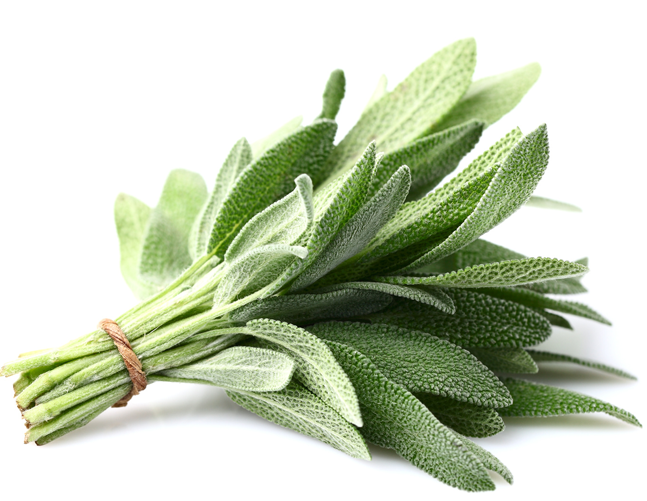 Sore-throat gargle: Put a large pinch of dried sage leaves into about a half cup (100 mL) of water. Bring to a boil and infuse for 15 minutes. Strain, sweeten with honey and use as a gargle twice a day. Canker relief: Gargle strong sage tea or freeze it into ice cubes and pop one in your mouth to soothe cankers. Hair rinse: Add a couple of pinches of sage leaves to about a 1/4 cup (50 mL) of boiling water. When cooled, use it as a rinse to treat dandruff or to lift lack luster locks. Sensitive gums: Mix 5 to 10 drops Sage in glass water and gargle with this 2 to 3 times per day. Heal wounds: Mix 3 drops Sage and 3 drops Thyme in tablespoon St. John wort oil. Spread this mixture 2 turn a day on the wounds. Sores, eczema: 20 drops Sage mix boiled in a glass, cooled down water. Rinse or dab the skin with this 1 to 2 times a day. Insect bites: 2 drops Sage on a damp wad of absorbent cotton. With this dab or lay the wad of absorbent cotton on the bite/ stab. Flu, cold: 20 drops Sage, 20 drops Rosemary and 20 drops Eucalyptus mix. Of this mixture only drops on a tissue or handkerchief do and inhale this deeply. Daily to need. Leaves and flowers are consumed raw or cooked. Strongly aromatic leaves are used as a flavoring in cooked foods. They are an aid to digestion and so are often used with heavy, oily foods. They impart a sausage-like flavor to savory dishes. 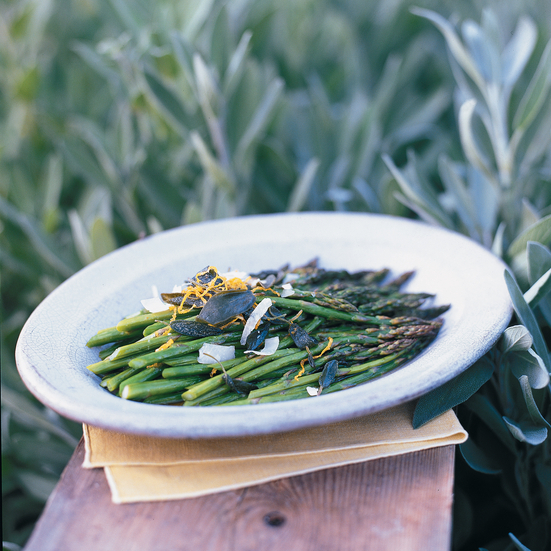 Young leaves and flowers can be eaten raw, boiled, pickled or used in sandwiches. Flowers can also be sprinkled on salads to add color and fragrance. Herb tea is made from the fresh or dried leaves. 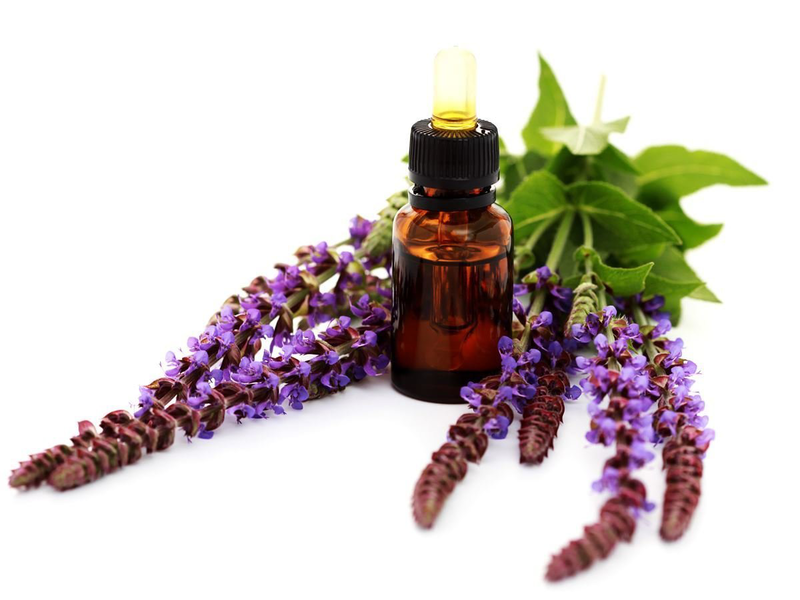 An essential oil obtained from the plant is used commercially to flavor ice cream, sweets, baked goods etc. 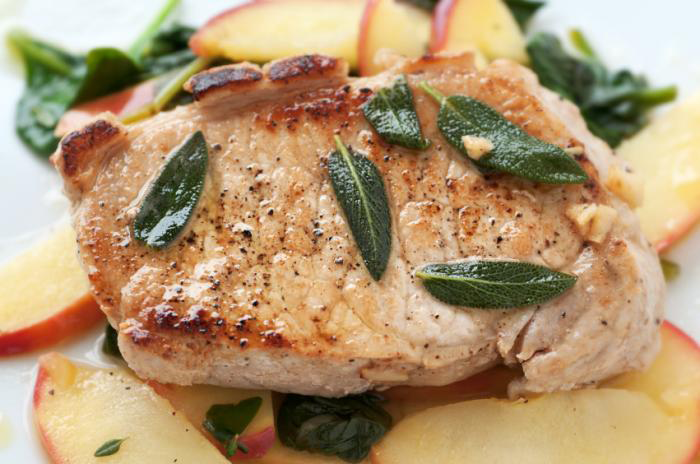 Sage often pairs well with poultry and pork. Sage leaves are used as a seasoning or even as a marinade. An essential oil from the leaves is used in perfumery, hair shampoos and as a food flavoring. It is a very effective ‘fixer’ in perfumes, and is also used to flavor toothpastes and is added to bio-activating cosmetic. Growing or dried plant is said to repel insects, it is especially useful when grown amongst cabbages and carrots. 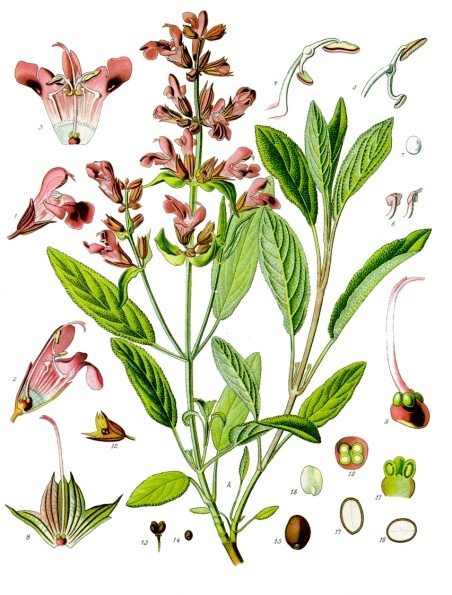 Due to its pleasant aroma, sage is often used as a fragrance in soaps and cosmetics. Put dried leaf between linen to drive off insects. Leaves can be burnt on charcoal or can be boiled in water to disinfect a room. Sage smoke drives away animal. Sage is also present in many herbal types of toothpaste. Peel the potatoes and cook them in 20 minutes done. Peel in the meantime the toes garlic and cut them in very thin slices. Heat the oil and bake the slices of garlic in this brown. Add the sage to and put the fire off. 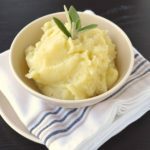 Pound the warm potatoes fine and stir there the sour cream, the mustard, the parsley and the oil with the baked garlic and the sage through. 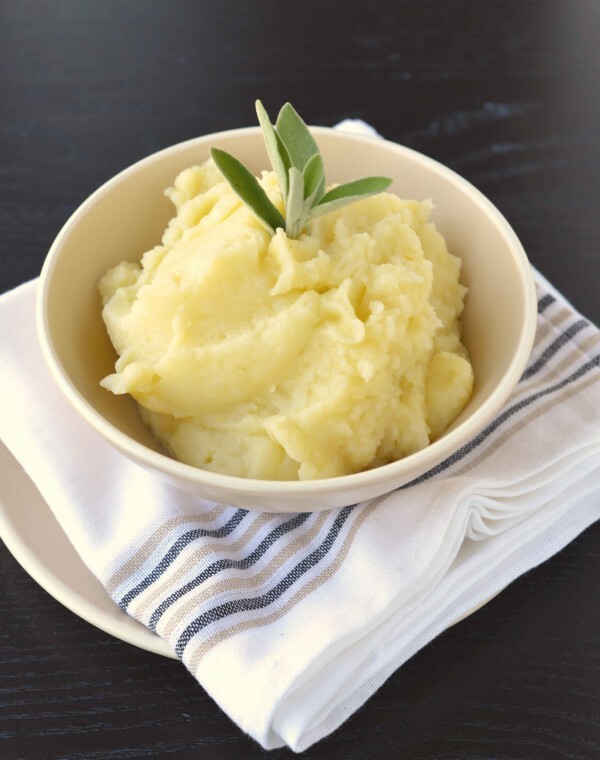 Bring the potato puree with a bit of salt on taste. (Let the fillo dough thaw before according to indication in ca. 2 hour). Preheat the oven on 225°C or gas oven 5. Cut in half the asparagus and strew sage on the ham slices. Role in each slice of ham 2 half asparagus. Divide the fillo dough in strips, as broad as the asparagus-ham rolls. Cover the dough with oil. Roll the ham rolls in 2 slices fillo dough and cover it with the stirred egg. Bake then in the middle of oven in ca. 10 minutes the rolls brown. You can serve them warm or cold. 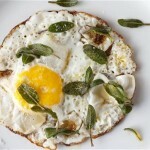 Heat a large frying pan; add the oil and then the sage leaves. Once they have fried to a translucent colour move them over to the side of the pan and add the egg. 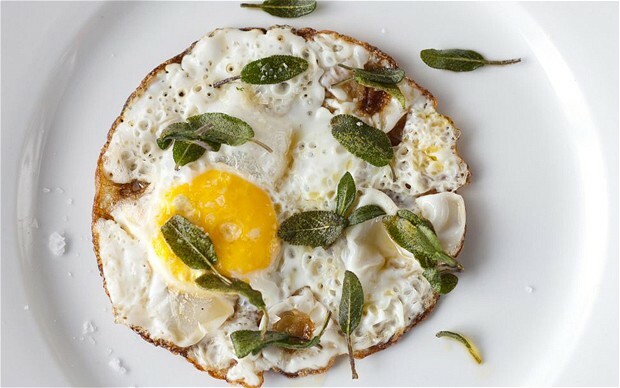 Pop the fried sage on the top of the egg and season with salt and pepper. Plant can be toxic when used in excess or when taken for extended periods. Symptoms include: restlessness, vomiting, vertigo, tremors, seizures. This remedy should not be prescribed to pregnant women or to people who have epileptic fits. In larger doses, however, it can cause epileptic fits, giddiness etc. Sage should not be used to suppress perspiration in fevers. Growing Climate Grows well in dry banks and stony places, usually in limestone areas and often where there is very little soil. Leaf Oblong, ranging in size up to 2.5 in (6.4 cm) long by 1 in (2.5 cm) wide. 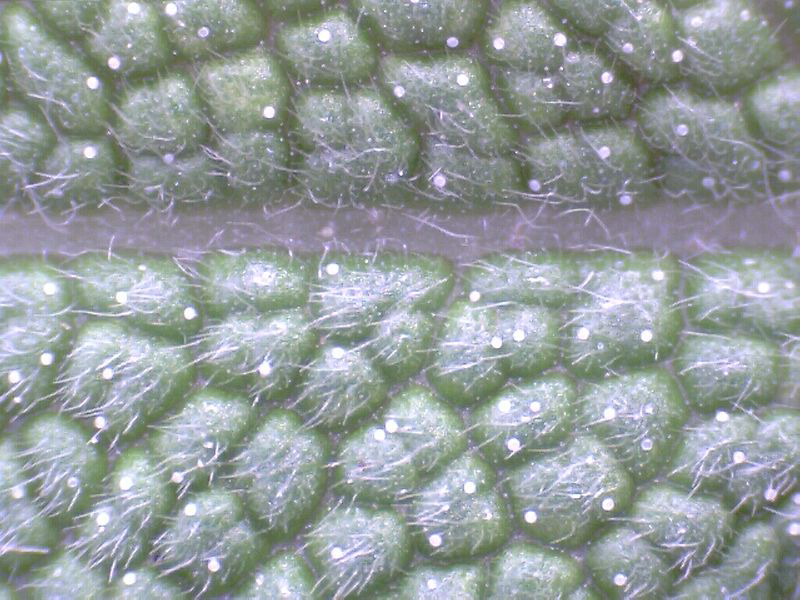 Leaves are grey-green, rugose on the upper side, and nearly white underneath due to the many short soft hairs. Calories 6 K cal. Calories from Fat 2.34 K cal.